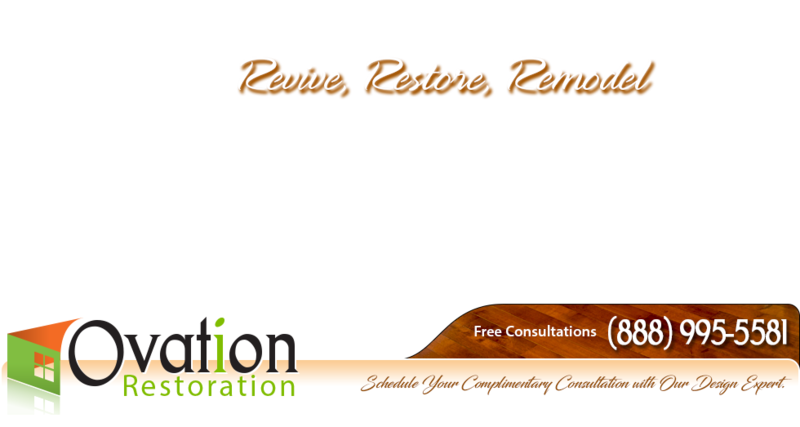 "We contracted with Ovation Restoration to remove all of the carpeting in our home and install new carpeting. The installers were very professional and considerate. They moved all of our furniture and bent over backwards to make sure everything was perfect. We are extremely happy!" "I hired Ovation Restoration to remove one wall of siding and replace it with concrete. I also had them paint our entire house. The contractors worked hard. They ran into tool complications, but worked through it and a very good job. I am well pleased and I really liked the installers." "I hired Ovation Restoration to replace my roof. They removed one layer of roofing and installed a new Pabco Arc 80. After removing the old roof, the workers left zero debris around. The workers were nice and the roof was finished in one day." "I purchased a new roof from Ovation Restoration. The roofing installers started early and ended late. They worked hard and cleaned up very well. I am very happy!" "We hired Ovation Restoration to put a new roof on our house. They removed forty-four sheets of rotted wood sheeting they found and repaired all the damage. They did an excellent job on the roof! They did a quick and thorough job. I went around the house often and did not find a single piece of debris. I’m happy with the work and the quickness of the job. I would hire them again in the future."